31st U.S. President. Very Rare ALS in pencil, 1 p, 4to, nd. 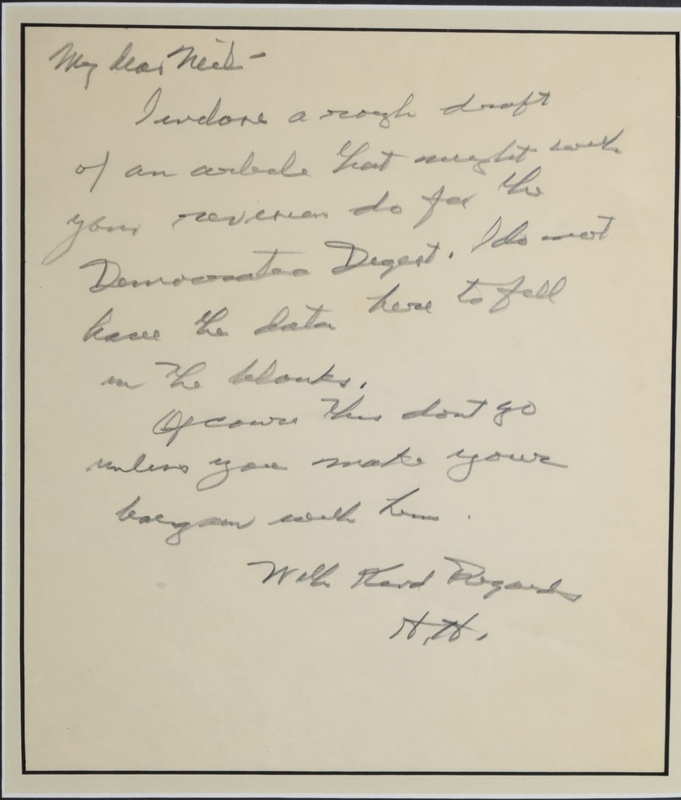 Hoover writes in his hand: "My dear Nick-I enclose a rough draft of an article that might with your revision do for the Democratic Digest. I do not have to fill in the blanks. Of course this don't go unless you make your bargain with him. H. H." In very good condition. One very small tear. The book the "President's Pen" states: "In ALS's of all dates, Hoover is one of the scarcest of all presidents. 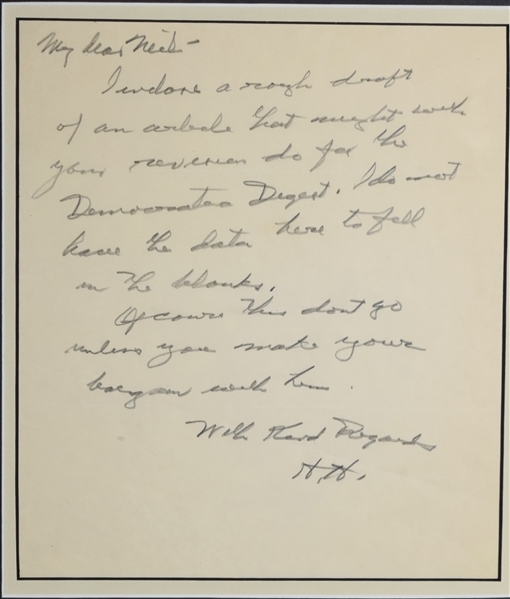 He once wrote that he probably had not written over a dozen handwritten letters in his entire life." Writing is very bold. 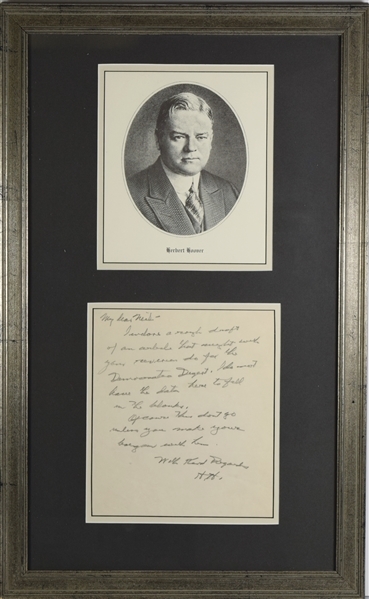 Beautifully framed with engraving of Hoover.